Did you know 74% of all buyers choose the first company that adds value or insight in their hunt for information about local products or services? This simply means the more helpful information you share with potential customers, the more likely they are to trust you AND the more willing they are to do business with you. And the best place to share this information is on your website because 30-50% of sales go to the company that responds first. 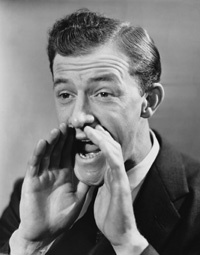 And unlike traditional mass adverting, web marketing doesn’t mean you have to “shout” to be heard online! On the contrary, just by creating in-demand content that people want and uploading it on a website that is easy to navigation, you can generate a lot of hot leads as well as bring more customers into your place of business. Not to mention if you have a website that contains the right keywords – real words that buyers are actively searching for, you can also influence how your business site is ranked in Google. I strongly believe that creating useful information for customers – and putting it on a website designed to capture contact information – is the best small business marketing strategy ever invented (so far). Finding a website professional who understands business marketing, online writing as well as web technology can often be a challenge. The ideal web marketing pro needs to be able to grasp the latest online tech products and services, yet also be business savvy enough to translate those technical innovations into more leads, sales and profits for your business. They should be someone who you can trust to promote your business online…without hype and without diluting your unique message. They should be experienced in SEO copywriting and know how to craft a clear, targeted message that will connect with your customers and clients. You also need a person who “gets it.” Someone who understands today’s overwhelmed and overworked small business owner. I’m Chancer Reese, and specializes in helping small businesses and startups – get online, get noticed and get new customers. 1. My brain is half geek and half web marketer. This means I can build a good-looking website that helps you sell more and get your message out to the right people. 2. I have years of hands-on experience building successful websites and writing online content and blogs. 3. I measure website success in terms of results (leads & sales) not just search engine rankings or brand awareness. If you only want a website that just looks “pretty” (whether or not it actually generates leads or attracts new customers – I love to make websites that are both pretty and profitable). If you only want to get a website at the lowest possible cost (instead of viewing your website as a long-term investment in your business’s future). 1) If you are thinking about making some small changes on your current website or are interested in getting a site redesign or a marketing makeover, then I recommend that you should click here to get an affordable website audit. 2) If you are just starting out or starting over and want to get answers to your web marketing questions, then I recommend that you click here to get a FREE consulting session.